More than four months after the end of last season, Washington Wizards star Bradley Beal was asked on Monday how he feels now after his team was a better-played fourth quarter away from the Eastern Conference Finals in one of the best teams in franchise history. Let’s just say that he has not gotten over it just yet. 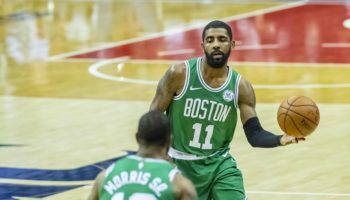 If anything, the Game 7 loss in the Eastern Conference semifinals to the Boston Celtics should act as motivation for Washington going into this season, which officially kicked off today as the members of the Wizards met with the media as part of the league-wide media day across the league. 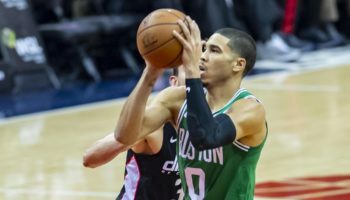 In an offseason where many big names changed places, the Wizards decided to stand pat, hoping that the young core of the team continues to develop and is able to get them over the hump an into a conference final for the first time in almost 40 years. Those lofty goals, according to Wizards star John Wall, is the requirement going into this season. 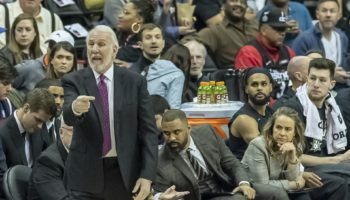 “Try to get over 50 wins, get to the Eastern Conference Finals, and give us a chance to make the NBA Finals,” said the four-time All-Star in what he expects from his squad in 2017-18. 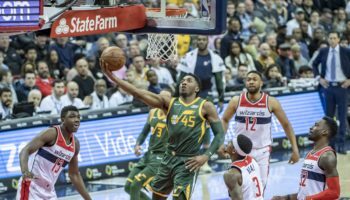 For a team that won 49 games in the regular season, that number was made all the more remarkable in light of the 2-8 start it had, forcing Washington to dig out of an early hole to climb to the Eastern Conference’s elite. That’s something that Wall is hoping does not happen again this season. Wall’s leadership went into an extra gear last season, as he averaged a career high in points per game (23.1), assists per game (10.7) and field goal percentage (45.1). And he might be even better this season. “If people think that I just arrived [as a superstar player], it’s just the beginning of what can be more,” Wall said. Here were some of the other highlights of Washington Wizards Media Day. Probably the biggest news from the Wizards standpoint in the offseason was their relative inactivity, given all of the moves that have reshaped the Eastern Conference landscape. Scott Brooks, going into his second year as head coach, believes that locking up John Wall and Otto Porter Jr. to longterm deals over the offseason is just as big of a transaction than any other team has made to shore up their rosters. 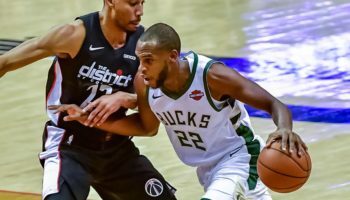 That doesn’t mean that the Wizards did not make moves at all, as the team shored up its bench – inarguably its biggest weakness last season – by signing sharpshooter Jodie Meeks and point guard Tim Frazier to add depth to the backcourt. Washington hopes those additions can take some of the minutes burden that Wall and Beal had to deal with last season, especially in the playoffs. It was not surprising that, especially given the events of the past few days, the conversation turned to politics and the events that unfolded with the protests by National Football League players during the national anthem and the comments to those made by President Trump. Bradley Beal, not one to be shy about giving his opinions about many issues, went into detail about his thoughts on the controversy, which included the president tweeting that he was uninviting the Golden State Warriors from their White House visit after Stephen Curry intimated that he would probably turn down a potential White House invitation. Beal continued his point and highlighted the NFL protests.